The following is a customer feedback email I sent to Amazon.co.uk. As it reads almost like a blog post, I though why not put it here as well. Today I got a promotional email from Amazon.co.uk, saying that you now deliver thousands of additional products to Finland. I reviewed the delivery restrictions, saw that you ship watches to Finland, and therefore proceeded with trying to place order for the following item (Diesel DZ1132). Upon trying to check out, I was granted with the familiar statement of “This item can’t be shipped to your selected destination”. Apparently it was an Amazon Marketplace item, where different delivery restrictions apply. Since you keep a record of what my account’s delivery destination is, I would like to have the option of filtering out products that I cannot purchase. At the moment, there is no way for me to search for watches that are sold by Amazon.co.uk itself and which could be delivered to my country of residence. The logical result is that I must consider all watches to be not available for me to purchase, as there’s no way for me to validate this outside the order placing process. If you ever implement such a feature, be sure to remember to promote that in your newsletters as well. Previously I requested the option of not receiving the electronics related email advertisements from you, as the products promoted in them were not available for me to purchase. At the same time, I did not want to give up your book related recommendations emails, so opting out from all email communications did not seem sensible to me. I was told then that no such option unfortunately existed. Now when you have increased the coverage of your delivery destinations, we’re “almost there but not quite”. Since the shopping experience at Amazon is in general superior compared to other online retailers, I’m looking forward to having the last few detailes sorted out one day, to truly deliver a shop that works the way the customer would expect it to work. After a few days, I got a reply from Amazon.co.uk customer service. Nothing out of the ordinary there, typical corporate lingo. …I do understand your concern regarding the Marketplace delivery restrictions. Although we are aware that all sellers will not be able to ship all the items to international destinations, we are always working to serve our international customers better. Please know that all our customers, international and at home, are very important to us. Also it is always important for us to hear how customers react to all aspects of shopping at Amazon.co.uk. Strong customer feedback like yours helps us continue to improve the selection and service we provide. I have forwarded your message on to the appropriate department who will be glad to review your suggestion. Today when I started writing this blog post, I visited Amazon.co.uk to recreate the bad shopping basket experience, in order to get a screenshot of it. Surprisingly, there was no such experience, as the order went through! 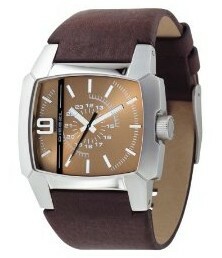 Apparently many of the Diesel watches have now been moved to the category “dispatched from and sold by Amazon.co.uk”, which means I will get my Xmas present after all. Negative customer experiences, when offset with a positive surprise, can turn into moments where the customer relationship is actually solidified. For a more theoretical reference, see this post by Frank Capek on the importance of the “element of surprise”. Tagged with Amazon, customer experience. Well, they do ask you to confirm your credentials before getting to the credit card bit of the order process, so I see this as 2 different levels of user login. Of course they could follow the traditional naming convention of the log out button instead of “Not Jukka?”, but then again, the benefits provided by Amazon for being a logged in user are also by no means conventional. Any other site spamming me with newsletters of stuff I can’t buy would have had my contact permission revoked in a heartbeat, but I just can’t let go of the spot-on book recommendations from Amazon. Long live the long tail, and may it get even longer! Watching the ice melt in the February sunshine at the Crusell Bridge in Ruoholahti, Helsinki. Finally, the REAL story behind why Google changed their logo.